Spanish director Jaume Collet-Serra once said “I only do original work,” apparently forgetting that he made Goal II: Living the Dream, the House of Wax remake and 5 identikit Liam Neeson movies. Liam Neeson IS The Commuter. 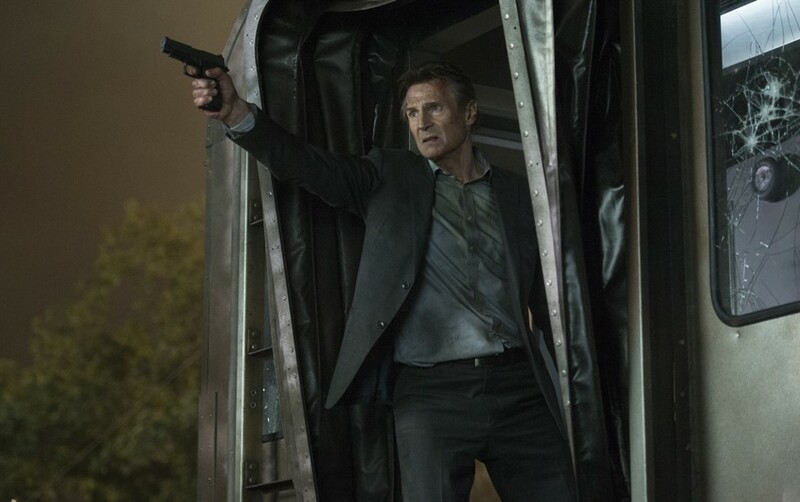 The annual Liam-Neeson-punches-people-on-some-transport movie has landed with the inspiring name The Commuter, from a script presumably found in the same unmarked draw as The Accountant. Last seen calling the #MeToo movement a “witch hunt”, Liam Neeson plays a retired cop who has to hunt down an innocent passenger in order to save his wife and son. Why do they even bother changing the name of his character from film to film? Come to think of it, why do they bother in general? Liam Neeson certainly doesn’t. In the rare cases that these high-concept Speed-style action movies work it’s because they’re straightforward, ie. the bus will explode if it goes below 50mph because Dennis Hopper is a crazy person. That’s really all it needs, not this convoluted plot that a) doesn’t explain why you’d get a temperamental retired cop to pull off your crime when you could just do it yourself and b) renders our “hero” utterly unsympathetic by making him commit mindless violence. Still better than Murder on the Orient Express. And not nearly enough mindless violence. We’re here to see Liam Neeson punching people and on that front it barely delivers. If you really want to watch Liam Neeson play an Irish man with a gun in a place, The Grey and Non-Stop are both far more entertaining than this trainwreck. Act one involves Liam Neeson pacing and grunting up and down the train like a man desperate for the loo. Act two sees him punching and accidentally killing people whose only crime is being old or black. Act three turns into Unstoppable and then Spartacus, and then it ends and Liam Neeson collects his massive paycheck and insults a multitude of people who’ve been abused. 3 stars.